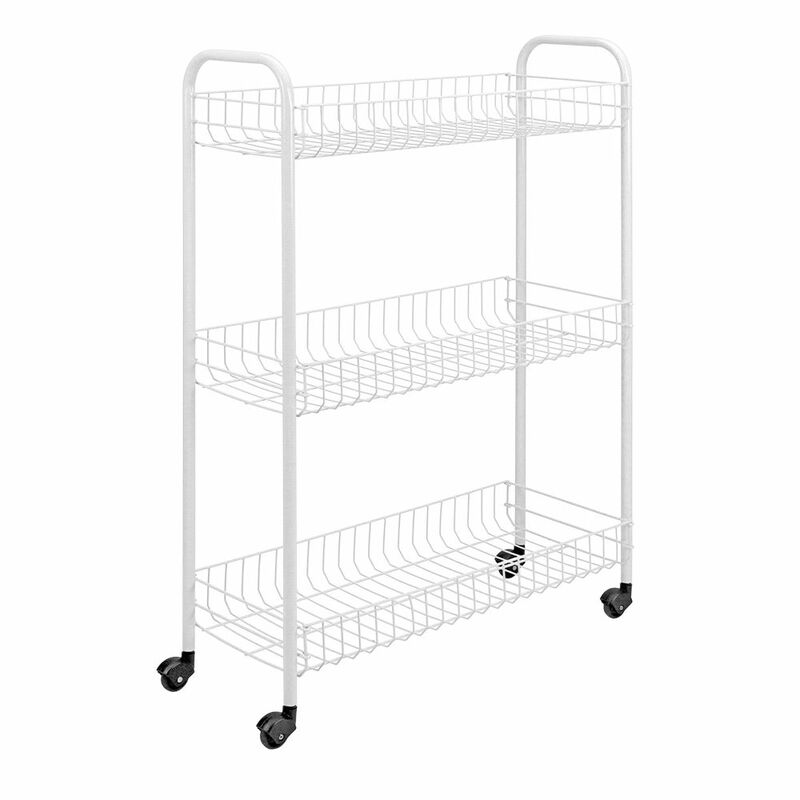 Slim Rolling Cart 3-Tier 56 X 23 X 84 CM Metaltex offers a wide assortment of rolling carts. In the kitchen, bathroom, bedroom, studio or garage; Metaltex carts are the best multipurpose storing carts that ease the carrying of the many things that you always need on hand. Products coated in Polytherm <sup></sup> : the exclusive Metaltex anti-rust and dust coating. Made in Italy with hard-wearing materials to stand the test of time. Slim Rolling Cart 3-Tier 56 X 23 X 84 CM is rated 3.0 out of 5 by 1. Rated 3 out of 5 by Neat Freak from If you need it Slim this is it. I purchased this for towels and it was a little too slim for my needs so I returned it. But for the price it was okay. Would be great for lighter items. Casters moved around on low pile carpet okay also. If your looking for something a little cheaper just to put little stuff on for extra storage this is good but if you need it wide this is not the one for you, buy the other one this one is slim as the measurements says.